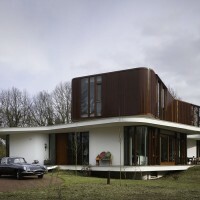 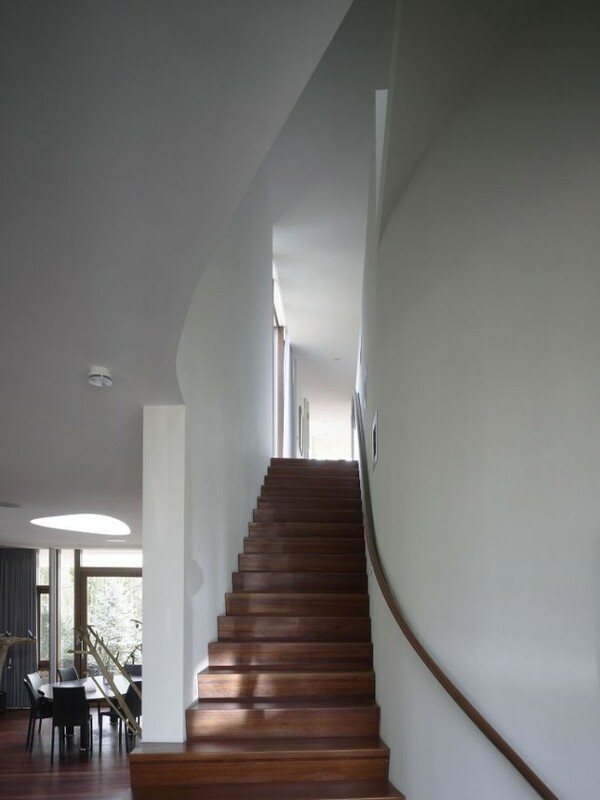 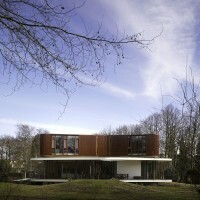 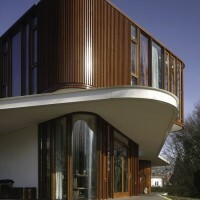 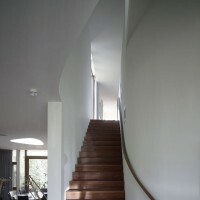 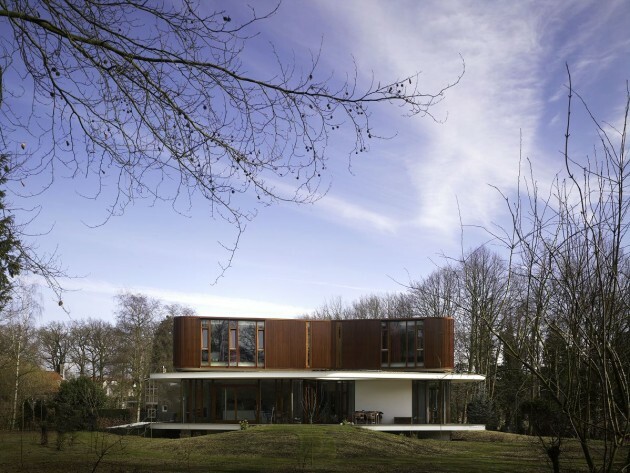 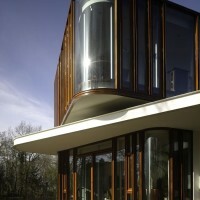 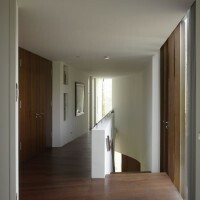 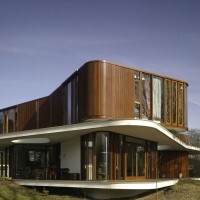 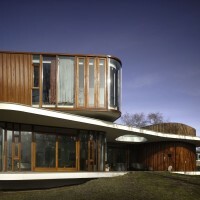 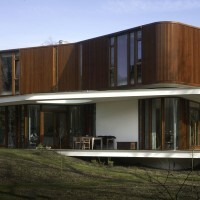 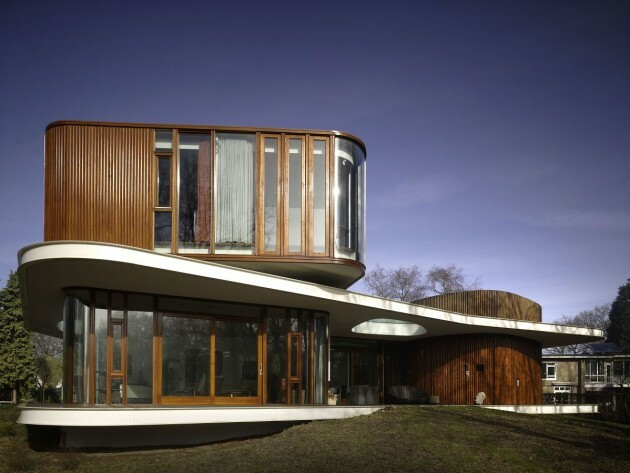 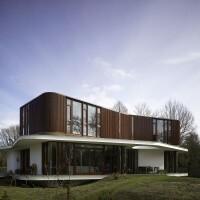 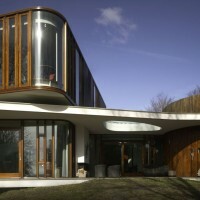 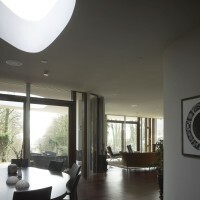 Mecanoo Architects designed the Villa Nefkens in Wageningen, The Netherlands. 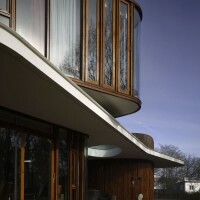 Villa Nefkens is beautifully situated in Wageningen where the border of the Veluwe and the Gelderse Vallei and the Rhine River meet one another. 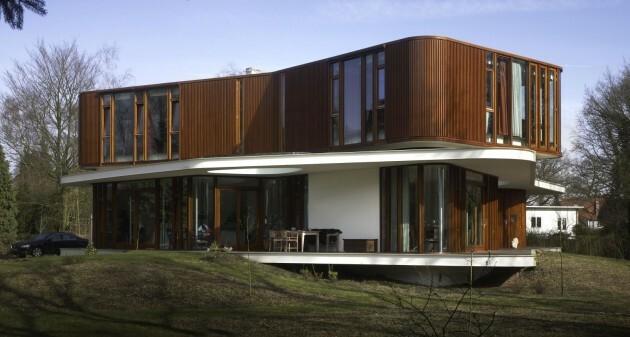 The Nefkens family found this extraordinary location on which to build their home, affording them magnificent views of the Rhine. 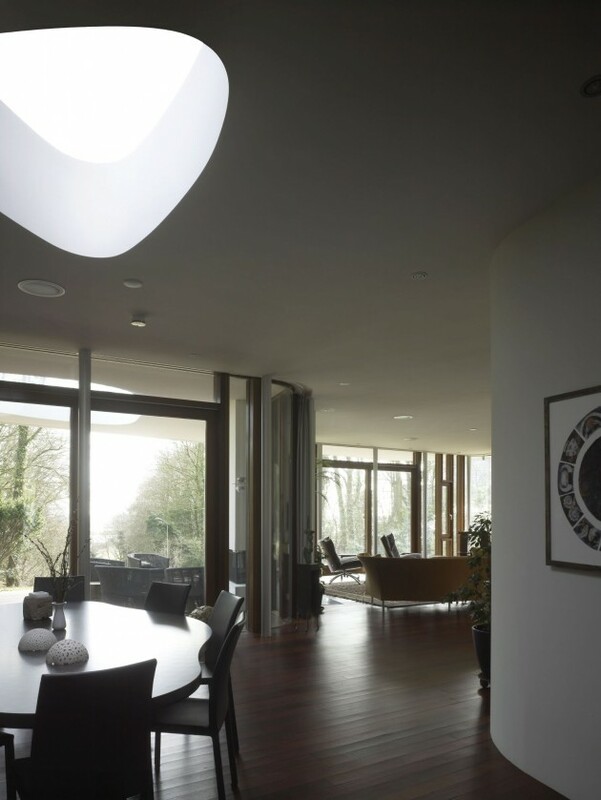 The design for the Nefkins villa takes its inspiration from the beautiful views from the living room and main bedrooms and also from the spacious kitchen/lounge area toward the big garden. 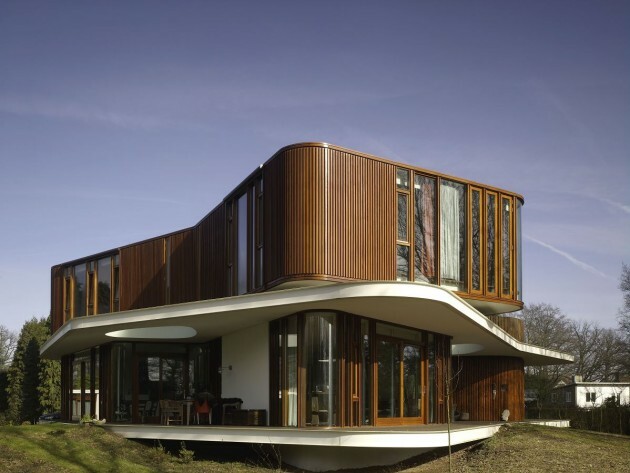 Large terraces elevate the house to just above grade, making the house appear as if it is floating. 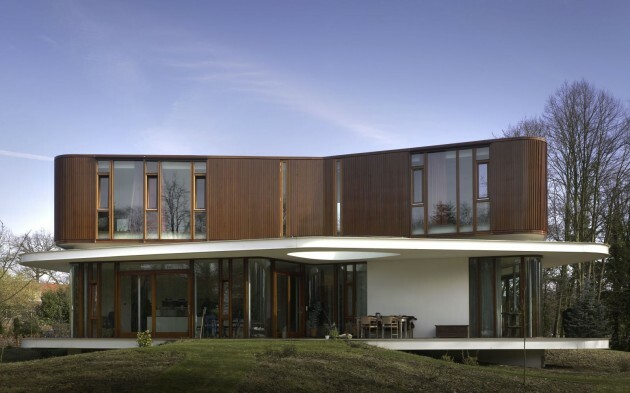 The villa’s transition from interior to exterior is gradual and a canopy surrounding the whole house provides beautifully framed views while allowing the outdoor spaces to be enjoyed in the summer and fall. 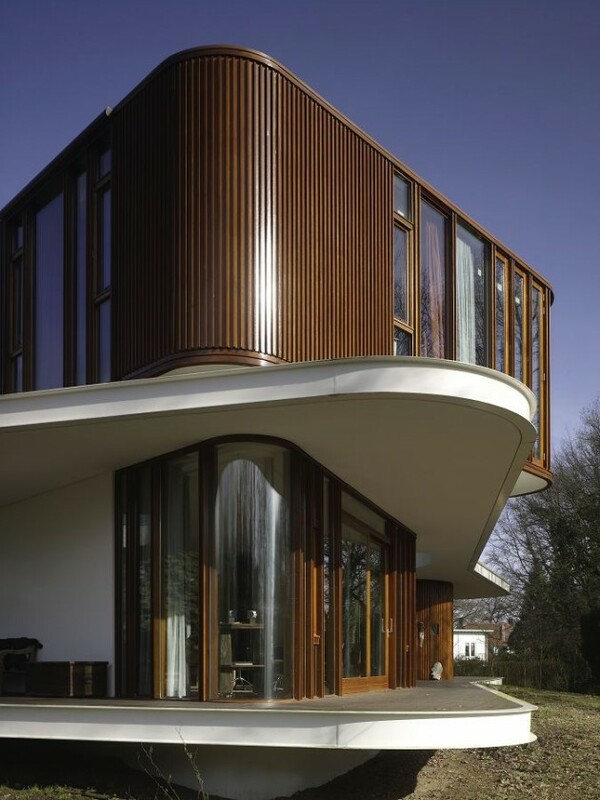 The round forms of the villa express the wish of the family to stay close to nature while simultaneously realising an individual design.